To look at this fruit you could think it was a giant dinosaur egg or something from a sci-fi movie which would explode revealing a monster, alien, killing machine. But this is actually a jackfruit, and the reality is not quite as exciting as either of those possibilities, it is actually a miracle crop. It looks like durian, the ‘king of fruits’, famous for its overpoweringly pungent aroma which has caused it to be banned in many public areas of Asia. But this may well be the new king of fruits, because the crop could be the key to saving millions from starvation. The jackfruit is the largest tree-borne fruit in the entire world – its fruit and seeds are full of all the ingredients for proper nutrition. 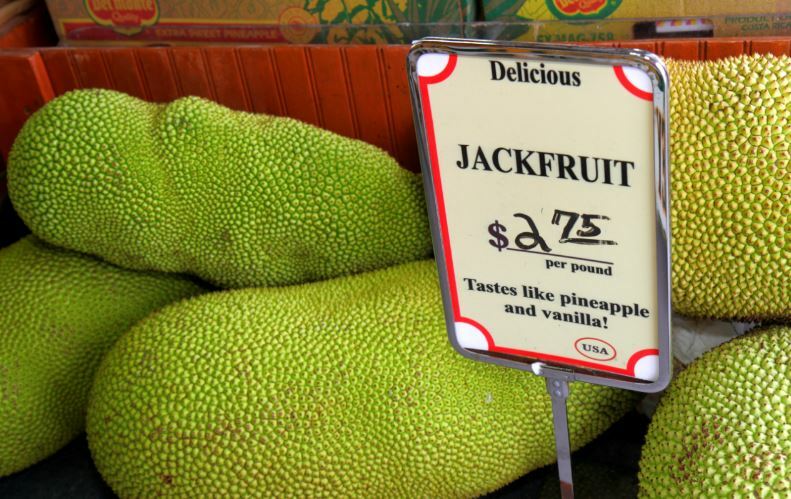 The jackfruit is native to south and southeast Asia, though it is slowly but surely making it’s way over to the West, and could possibly be found in your city’s Chinese markets. Business Insider decided that the time was ripe (get it?) for a deeper look into this mystery fruit. Nyree Zerega is a plant biologist at the Chicago Botanic Garden who studied the genetic diversity of jackfruit trees in Bangladesh. In Bangladesh, where jackfruit is the national fruit, it is often considered the second-most important crop after mangos. And if you have space to grow something, you almost always have a jackfruit tree – due to both its valuable fruits and timber. Jackfruit is more than just the fruit, pretty much all of the tree can be a source of food or can be used for construction or design. The leaves from the jackfruit trees can be a source of food for farm animals in warmer climates, traditionally goats. Apparently, the inside of the bark is a deep orange colour, which is traditionally used as a dye for monk’s robes in Asia. Not only this, but the sap of the tree is very sticky, and can be used as a glue. The wood itself can be sold and used as good quality timber. Despite its popularity in Asia, it is not widely consumed in India, which is where jackfruit is thought to have originated. This is where it could probably do the most good, as India’s climate is perfect for the production of the fruit. 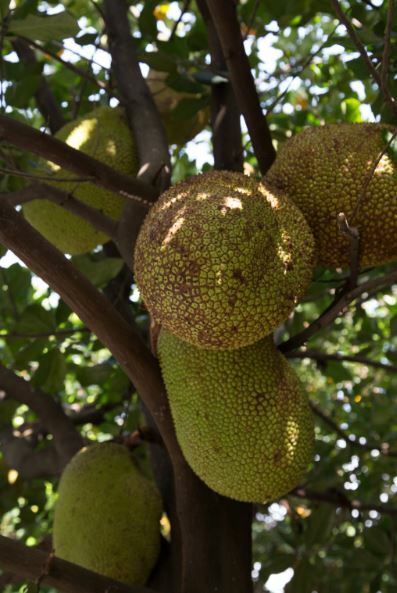 One jackfruit tree can apparently grow up to 150 fruits over the course of the year, and this could help feed the millions of undernourished people in the Indian subcontinent. Each jackfruit can yield hundreds of seeds, which are a great source of vitamins themselves, as well as being a great source of protein and potassium. It’s a miracle. It can provide so many nutrients and calories – everything. If you eat just 10 or 12 bulbs of this fruit, you don’t need food for another half a day. The jackfruit is also massive, so one single fruit can provide a meal for the whole family, and it actually tastes pretty damn good too. When the fruit is ripe, it is soft and fruity, but when it is unripe, its texture is similar to a potato. The fruit can be curried, fried, chipped, or the seeds can be dried and ground into a flour. The fruit is pretty ubiquitous across south-east Asia, being used in countries like Vietnam, Laos and Malaysia – India has still not caught on to the craze. Around 75% of jackfruit made in India is wasted, because the fruit goes bad within a few weeks of its harvest in the tropical conditions. Historically, jackfruit has a reputation for being a poor man’s fruit. It’s not the kind of thing that many people would ever think of buying because it grows everywhere in certain parts of India. Shree Padre, a journalist and curator of jackfruit festivals in India, told Business Insider that the country is silently allowing the ‘lion’s share’ of the fruit to rot. 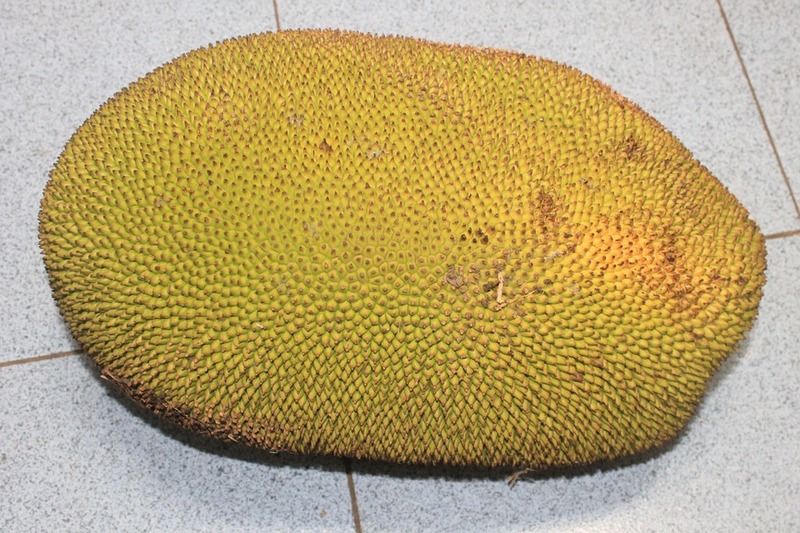 Countries like Vietnam, Philippines, and Malaysia are minting money from jackfruit. Sri Lanka proudly calls it [the] ‘tree of rice’. But ironically, in the motherland of jackfruit, we still haven’t understood jackfruit’s importance. Padre reckons that every farmer in India could earn about $151 per tree because of its versatility. 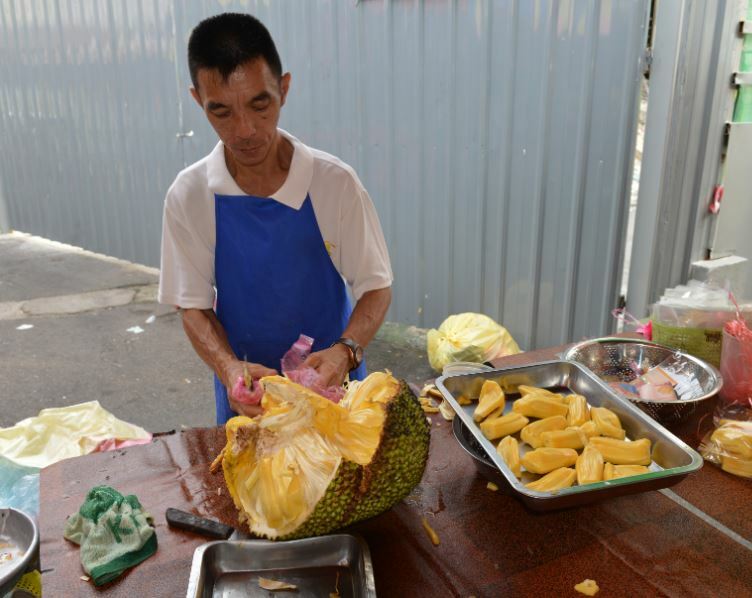 He said no other crop would come near to the versatility of jackfruit. According to the International Labor Organisation, one tree could bring in more than half of the average monthly income for an Indian worker. But before this can happen, there needs to be a cultural shift in the approach to the fruit, which is likely to be an uphill struggle. Over time, let’s just hope the good cause of the jackfruit permeates through to Indian farmers and consumers.